Screen saver shows the actual phase of the moon. Is there a better alternative to StarMessage Screen Saver? Is StarMessage Screen Saver really the best app in Screen Savers category? 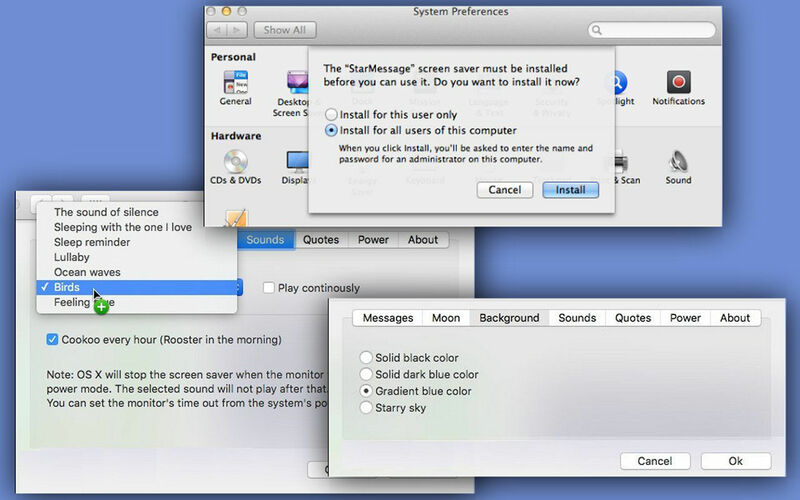 Will StarMessage Screen Saver work good on macOS 10.13.4? 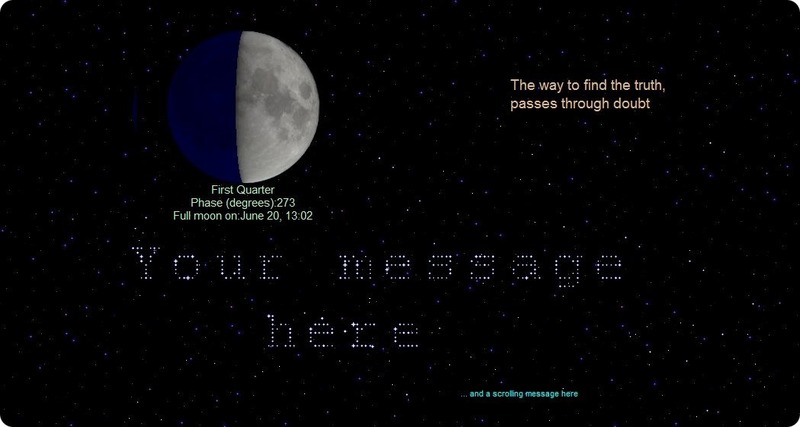 The StarMessage Screen Saver is a relaxing screen saver showing a realistic presentation of the night sky, with the moon in its actual phase. Today's moon phase and information - See an image of the moon at its current moon phase, together with the name of the moon phase, the percentage of moon illuminated, and the recent or upcoming dates of full moons and new moons. Better compatibility of the screensaver for Mac OS 10.14 and retina displays. StarMessage Screen Saver needs a rating. Be the first to rate this app and get the discussion started! 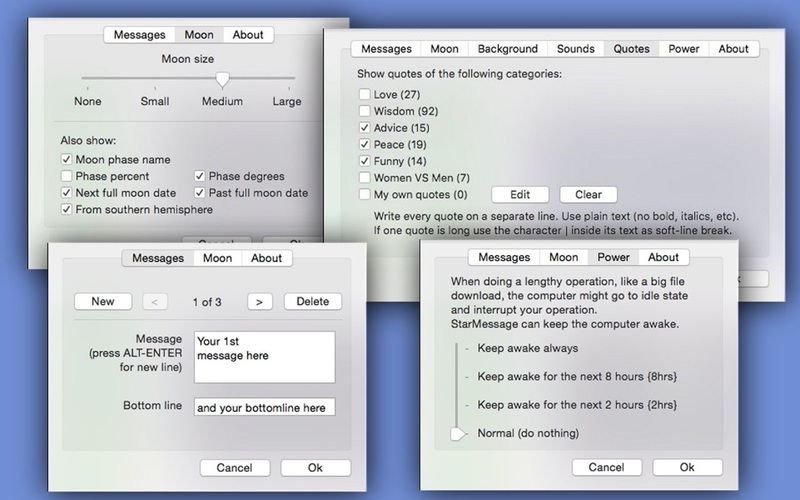 Write messages with the stars of the night sky - No other screensaver can do this for you! The stars of the night sky will move around to write your messages. Will surely impress the recipient of the messages. Prevent your Mac from going to idle (sleep) mode - If your computer is left to complete a lengthy operation, like downloading a big file, the computer might automatically enter an inactivity state and disrupt your operation. Do you want to leave the screensaver running (without the monitor being switched off) so you can see the night sky before you go to sleep? Go to the "power" settings of the screensaver to keep your computer "awake" for the next two or eight hours. The free version shows a "please buy me" message after 10 days, but continues to run normally.